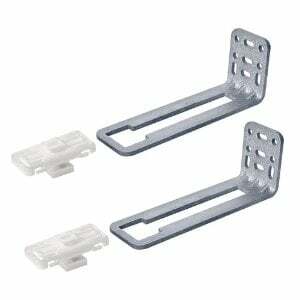 Drawer slide accessories including face frame mounting brackets for front attachment and rear attachment. 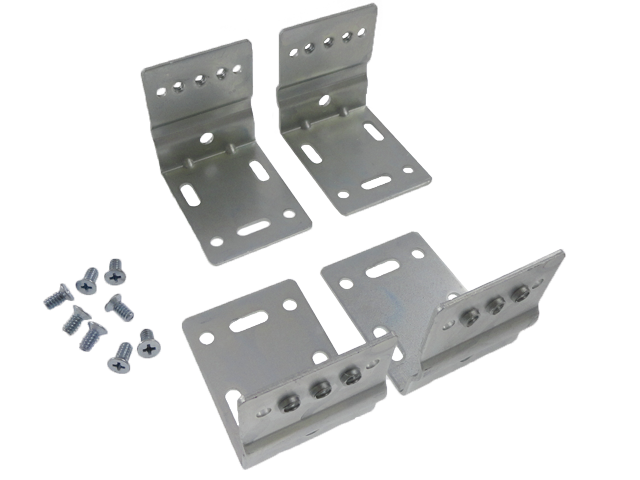 Also we offer a self adjusting rear mounting bracket for ease of installation. 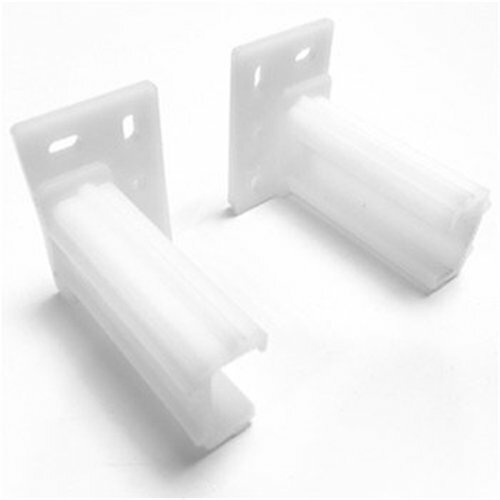 These drawer slide accessories come with elongated extension holes. This allows for easy adjustment for full extension drawer slides. OVIS' assembly jig drawer slide accessories are designed specifically for their partial extension drawer slides. They make level installation of this style of drawer slide easy. 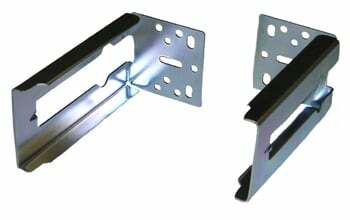 Metal rear brackets support the installation of undermount drawer slides. The face frame front mount is another drawer slide accessory designed to help make the installation of full extension drawer slides much easier and more reliable. This accessory was made to work with face frame cabinet construction in particular, as this cabinet design can make installing full extension drawer slides difficult. With OVIS' floor/cabinet mount bracket kits, you can easily install pull-out shelves into the bottom of cabinets. All of OVIS' drawer slide accessories are designed and produced by top drawer slide manufacturers, so they are certain to be compatible with the drawer slides that they support. For more information about OVIS' collection of drawer slide accessories and other drawer hardware, feel free to browse our website or contact our team directly. Rear mounting socket for the Hettich 05632 series full extension drawer slide. Typically used in face frame cabinet construction. Allows easy adjustment with elongated installation holes. All steel, zinc plated. These do not work with any other manufacturer or series of slide. Priced per Pair. Rear mounting socket for the Hawthorne and Reid HR2045 series full extension drawer slide. Typically used in face frame cabinet construction. These do not work with any other manufacturer or series of slide. Priced per Pair. Rear mounting socket for the Hawthorne and Reid HR2145 cabinet series full extension drawer slide. Typically used in face frame cabinet construction. These do not work with any other manufacturer or series of slide. Priced per Pair. Rear mounting socket for the Hawthorne and Reid HR2145 SOFT CLOSE full extension drawer slide. Typically used in face frame cabinet construction. These do not work with any other manufacturer or series of slide. Priced per Pair. Face Frame Front Mount for HR2045 Slide series full extension drawer slide. Typically used in face frame cabinet construction. These do not work with any other manufacturer or series of slide. Priced per Pair. Face Frame Front Mount for HR2145 Slide series full extension drawer slide. Typically used in face frame cabinet construction. These do not work with any other manufacturer or series of slide. Priced per Pair. Floor or Cabinet Mount Kit for the HR2145 series full extension drawer slides. The 4 brackets are designed to mount the slide to the floor of the cabinet to hold a pull out shelf. The kit includes 4 brackets and 8 screws to mount the slides. Screws to mount the bracket to the cabinet are NOT included, you will need to choose an appropriate screw for your application. Priced per Set or 4. *NEW* 305 mm (12") Mounting bracket for Fulterer FR 5400 and FR 5400 L heavy duty drawer slides. Kit inludes 2 brackets and fasteners. *NEW* 406 mm (16") Mounting bracket for Fulterer FR 5400 and FR 5400 L heavy duty drawer slides. Kit inludes 2 brackets and fasteners. *NEW* 559 mm (22") Mounting bracket for Fulterer FR 5400 and FR 5400 L heavy duty drawer slides. Kit inludes 2 brackets and fasteners. *NEW* 711 mm (28") Mounting bracket for Fulterer FR 5400 and FR 5400 L heavy duty drawer slides. Kit inludes 2 brackets and fasteners. The Hettich FR402L rear mounting bracket is especially designed for face frame cabinet construction. These do not work with any other manufacturer or series of slide. Price is per Pair.